There aint no hiding now, kids. Hubspot spread the word that there are now more companies blogging than there are companies not blogging. 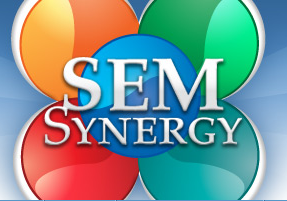 And as I look at the strategy documents we’ve been creating for clients this summer that definitely seems to be the case – clients are looking for that blog consulting component as part of their SEO audit or larger link building services. Whether it’s the effect of Panda, Google+ or simply a more competitive market, businesses are looking toward new content as the key in helping them to build a brand, to foster a flowing conversation and, of course, to demonstrate their authority on a particular topic. When coming up with this month’s editorial calendar or putting together your content creation goals, why not consider some additional content types? Content that will help you better attract your audience by rescuing them from the same chicken and rice they ate last night and giving them something more tasty to consume. Below are 12 NEW content flavors to help you attract your audience. How can you work them into what you’re already doing? If a picture tells a thousand words, a video tells ten thousand. Incorporating video into your content marketing strategy allows you to educate, entertain, and inspire your audience with more personality than many of us can evoke through words. Because you’re not hiding behind WordPress, you give your audience the chance to see you, to hear the tone in your voice, and to create a more intimate relationship with you than through a traditional blog post. Adding video around product pages can even help increase sales by up to 30 percent. Over the years, SEOmoz has done a great job with its Whiteboard Friday’s, posting a video each week digging into a certain aspect of SEO with a more personal touch. We not only get the information, but we get to learn about the talented members of the SEOmoz team. SEOmoz Whitebeard Friday – Give and Ye Shall Receive from SEOmoz on Vimeo. If authority and brand recognition is what you’re after, then webinars are a good way to achieve that with an interactive flair. It doesn’t take much more than the GoToMeeting software to get you up, running, and offering live educational seminars from the convenience of your office. Or your couch. Or that secret vacation you don’t want people to know you’re on. Webinars have become increasingly popular as of late because marketers can use them to build their email list or to attach a product offer, bringing in another revenue stream. 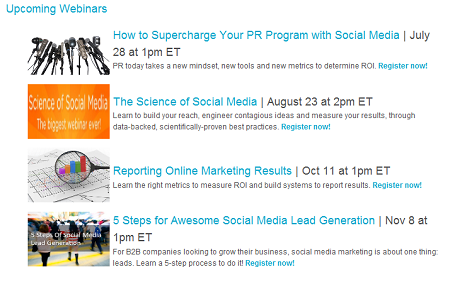 One company that’s currently rocking the marketing webinars is Hubspot. They’re constantly offering their community fresh tips via a live format. It helps turn your content into an event, not just a blog post. 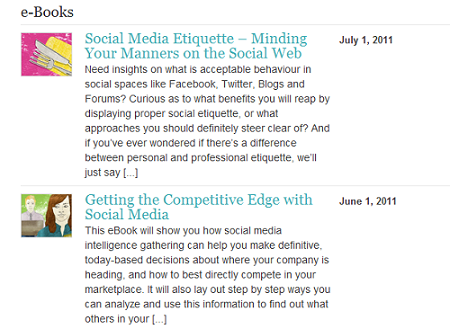 The nice folks over at Radian6 are experts at this, putting out a monthly eBook> on a new social media-related topic. Each one digs deeper into a particular topic than a single blog post could and attracts more users. Not all the content you create is going to sit on your Web site. Part of fishing where the fish are and reaching people how they want to be reached, means getting off your island. 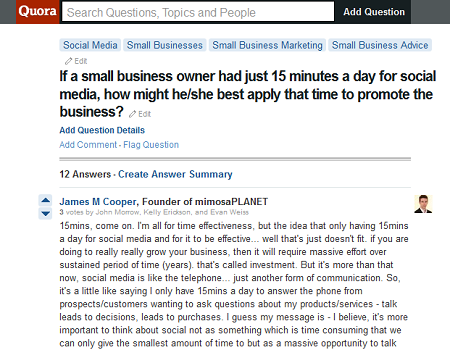 One of the ways I like to do this is by participating in Q&A forums like LinkedIn Answers, Quora or niche-specific sites. By participating you’re able to show off your brand’s skill set and expertise, while also forming relationships with people who could become customers and media contacts looking to gain insight on that particular area. Instead of writing another How To post on the best ways to set up your Facebook page or how to gain more followers on Twitter…create a case study of how you’ve actually done it for yourself. Or how you’ve helped someone else to do it. More often, this is the content that your audience most wants to see because it not only provides them with valuable tips they can apply to their own business, but it shows them that you know what you’re talking about because you’ve accomplished it. You’re not just talking about it. Whatever your particular business, you should be working case studies into your process – both in terms of sharing them and in collecting them. According to Google (define: white paper), a white paper is an authoritative report giving information or proposals on an issue. Said simpler, it’s a guide with a slightly more pretentious name that consumers eat up. And they can be fantastic marketing tools. When you feel like you’ve written all that you can write, say it instead. Podcasting allows you to present information via an oral conversation between either you and your audience OR you and a feature guest. One of the benefits of using podcasts in your content marketing strategy is how portable the medium is. Users aren’t tied to their desktop or even their cell phone scrolling through your words. All they have to do is download your podcast on their way out and then can listen to it from wherever they want – whether it’s their car stereo or via their iPod while at the gym. If the content well is getting a little dry helping you attract people, why not throw a party? Whether it’s an online Twitter Party or an offline event in-store, hitting the streets and interacting with people one-on-one can help bring back the lovin’ feeling that is gone, gone, gone from your blog. And if it’s an offline event, you’ll soon have new images or videos to post on your blog as content. One stone, many birds. Below is Rhea’s presentation from the SEOmoz NYC meetup that happened a few months ago. You don’t even have to share the entire presentation (if you’re bashful), pick out some of your main data points and share them. Okay, I haven’t seen a great example of a business using apps to help with their content marketing but every day I watch the @NikeGetFit taunt me with good information I have to think there’s a way. The 2011 Women’s World Cup is going on right now. Where’s the app that offers me scores, but also tells me about the players, their workouts, their fitness routines, and how I can be the next Hope Solo? Nike’s not a sponsor of the World Cup, but Adidas is. Where’s that tie in? Maybe there is one, but if so, I haven’t found it. 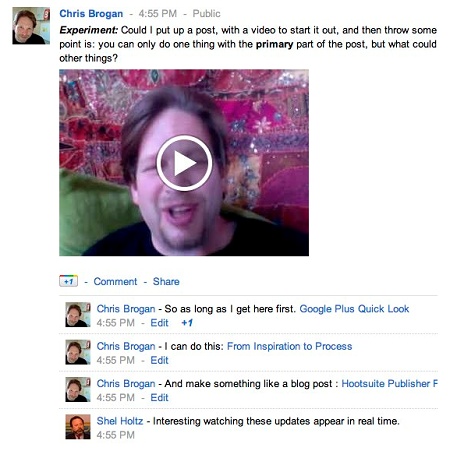 This is another one I’m not totally familiar with yet, but Chris Brogan is already all over it. You know what they say – DWBD (Do What Brogan Does). I don’t love writing corporate newsletters, but I do enjoy reading them. Newsletters are still an effective way for engaging your audience because you’re able to hit them where they’re more apt to trust – in their inbox. For example, I read the Problogger email newsletter every morning. Sure, I subscribe to the blog and I may see the content that way, but I don’t really read it until it comes to my inbox. That’s just how I prefer to experience it. And depending on your audience and their likes/dislikes/quirks, they may follow a similar pattern. Those are just 12 different content flavors you can use to attract your audience. Stop limiting yourself by thinking there’s only one. The trick is to develop a content strategy that incorporates a number of different flavors and highlight the ones that work best for your audience.